United Kingdom. Our Company registration number is 09321678. 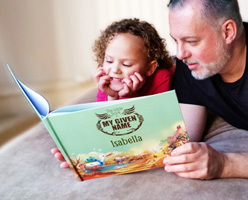 My Given Name Limited is a business that sells personalised children’s books and other products, made to order, based on name and other details entered by the customer. We will not be liable if, for any reason, our website or our service is unavailable at any time or for any period. From time to time, we may restrict access to some parts of our Site or our Service, or our entire Site or Service to users who have registered with us. You are responsible for maintaining the confidentially of your login details and any activities that occur under your account. If you have any concerns about your login details or think they have been misused, you should contact us straight away to let us know. We can deactivate your account at any time. Mygivenname grants you a limited license to access and make personal use of the Site. You may not download (other than page caching) or modify the Site, or any portion of it. The Site or any portion of the Site may not be reproduced, duplicated, copied, sold, resold, visited, or otherwise exploited for any commercial purpose without express written consent of Mygivenname. You may not frame or utilize framing techniques to enclose any trademark, logo, or other proprietary information (including images, text, page layout, or form) of Mygivenname without express written consent. You may not use any other “hidden text” utilising Mygivenname name or trademarks without the express written consent of Mygivenname. Any unauthorized use terminates the permission or limited license granted by Mygivenname. You may not use any Mygivenname logo or other proprietary graphic or trademark as part of the link without express written permission of Mygivenname. Unauthorised use of this website may give rise to a claim for damages and/or be a criminal offence. When you place an order through Mygivenname, a screen confirming your order will be displayed containing details of your Order. The contract between you and us will only be formed when you have been presented with the Confirmation Screen. You should also receive a confirmation email. Please ensure that you have given us the correct email address as this is how we will communicate with you about your Order. Should you make a mistake during the ordering process you must notify us as soon as possible. You are responsible for ensuring that all details which you provide to us for the purposes of your Order and its delivery are correct. During the ordering process you may have the option to preview your Product prior to purchase. While we aim to create an as accurate as possible representation of your Product, we cannot guarantee that the layout, fonts and colours displayed on your screen will exactly match those in the final printed book. The flip book preview is meant as a representation of the final product only. Some books will not display a preview but will show example pages. 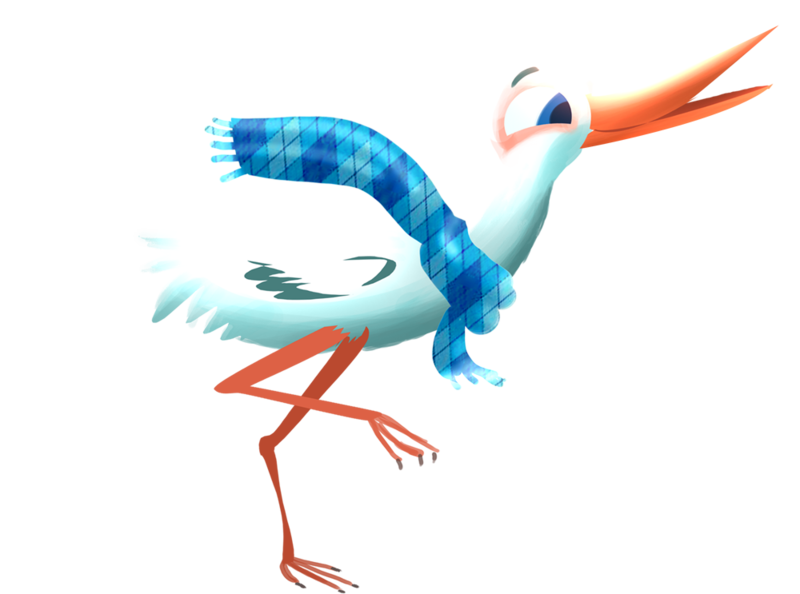 During the ordering process we will ask you to specify the place of delivery for each Product. It is your responsibility to ensure that all delivery information is accurate and up to date. Standard delivery is via 2nd class postage. Other delivery costs and options are set out clearly on our website and in your shopping basket at the time you place an order. We aim to process your Order and produce each Product within the time period stated during the ordering process and shown on the shopping basket screen. Please note that production times may vary and any times quoted for the delivery of goods are indicative only. We will not be liable for any loss or expenses which you may sustain as a result of any delay in the delivery of your Order. If your Product is defective or damaged on delivery you must contact Mygivenname within 14 days of receipt via email at info@mygivenname.com and include photographic evidence. We may ask you to return the defective or damaged item to us in order to validate your claim for a replacement product. Due to the highly personalised nature of our Products, we regret that refunds are only available where Mygivenname has made an error (see below). You are responsible for ensuring that all personalisation details supplied to us are correct at the time of ordering. You have the right to cancel your order and receive a full refund under the following circumstances: we fail to deliver your order within 45 days after the date you placed the order; your Product is defective or damaged (in which case Mygivenname shall require photographic evidence from you within 14 days of receipt). To notify us of your wish to cancel you must email us at info@mygivenname.com. The price of any Product will be listed on our Site and shown in your basket. Prices include VAT. Prices will vary between products. Prices are liable to change at any time, but changes will not affect orders in respect of which you have been presented with on the Confirmation Screen, save in the case of an obvious pricing mistake, whereby we will notify you as soon as we can about the pricing issue. You may be able to cancel your order once we notify you. Payment is by credit or debit card through our chosen payment provider. Once your order has been confirmed your credit or debit card will have been authorised and the amount marked for payment. Payment is made directly to My Given Name Limited. Discount codes are issued subject to availability and can be withdrawn without notice at any time. Mygivenname reserves the right to stop discount codes being used against specific products. Only one discount may be used per order and these cannot be used against money on account, delivery, or any other facility provided by Mygivenname. Other than as specified expressly in these terms and conditions we will not be liable for any loss or damage (including indirect or consequential loss or damage) however caused which may be suffered or incurred or which may arise directly or indirectly in respect of the use by you of Mygivenname service or Mygivenname website except to the extent that such liability cannot be excluded by law. Your sole and exclusive remedy for dissatisfaction with services is to stop using the services, and your sole and exclusive remedy for dissatisfaction with products is to obtain a refund therefore in accordance with the terms of these terms. To the fullest extent permissible by applicable law, the maximum liability of Mygivenname arising out or in connection with the provision of or failure to provide any products or services shall be the actual price paid therefore by you. No party shall be liable to the other for any delay or non-performance of its obligations under this Agreement arising from any cause beyond its control including, without limitation, any of the following: act of God, governmental act, war, fire, flood, explosion or civil commotion. For the avoidance of doubt, these shall not excuse the Customer from any payment obligations under this Agreement. All content on Mygivenname websites including text, graphics, logos, designs, photographs, button icons, images, audio/video clips, data compilations and software and its compilation is the property of Mygivenname and is protected by UK and International copyright laws. You may not modify, create, copy, distribute, transmit, display, reproduce, duplicate, publish, license, create derivative works from, or offer for sale any information contained on, or obtained from, the Mygivenname website without our express written consent. Mygivenname is a registered trademark. All Mygivenname graphics, logos, page headers, button icons, images and product names are either trademarks or the copyright of Mygivenname. Mygivenname trademark and copyright materials may not be used in connection with any product or service without written authorization..